Key Alliance Group Bhd (KAG) today unveiled the site of its new state-of-the-art data center located in Menara Lien Hoe, a sign of its support for Malaysia’s move to a digital economy following the launch of the Digital Free Trade Zone (DFTZ). Construction of the new data center is expected to be completed in Q2 of 2018. The construction of the new data center follows KAG’s acquisition of Progenet Sdn Bhd., a boutique and bespoke cloud services provider. Now rebranded as Progenet Innovations Sdn Bhd. (PGI), the company prides itself to be a more dynamic and forward-looking cloud services provider in Malaysia. The company seeks to address the challenges faced by many enterprises to find an affordable and efficient cloud solution. 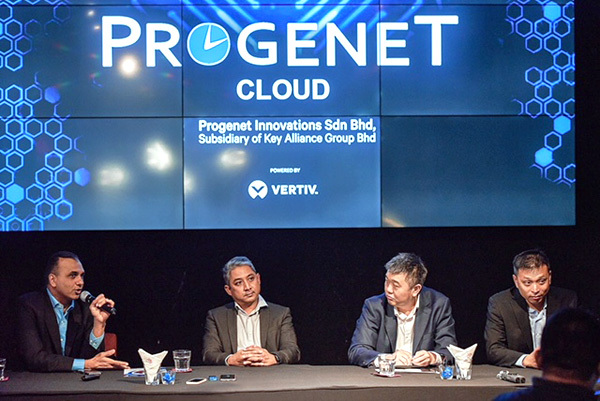 Progenet Innovations was also the first to offer EXFO’s Xtract performance analytics platform in the APAC region, with a successful deployment in a leading Malaysian Telco provider. The solution enabled our customer to proactively assure the service quality that it is offering to its enterprise clients throughout the country. Through this, KAG has refined and corporatized its approach towards its clients, be it SME, commercial or enterprise, to offer higher levels of service; better disaster recovery options; innovative solutions for cloud computing and storage, cloud access security broker options; and bespoke integration designs. “As one of the leading infrastructure solutions provider in Malaysia, we recognize the evolving needs of our customers and the growing criticality of cloud services. It is in this light that we are excited to launch this state-of-the-art data center, designed with the latest technologies offering high availability, redundancy and scalability,” said Roy Ho, Managing Director of KAG. The data center will be powered by Vertiv, formerly Emerson Network Power, who will be working closely with KAG from the design to the successful implementation of this facility. Vertiv will be providing KAG with the SmartAisle™, a fully-integrated, row-based enclosure system that combines racks, power, cooling and infrastructure management into a holistic data center solution. The SmartAisle perfectly supports KAG’s requirements, with provisions to scale up the infrastructure as business demands grow. KAG’s modern data center is designed for high density web scale infrastructure, allowing it to build its own public and private cloud as well as support private enterprises in their cloud systems. The facility also comes with the latest data center infrastructure (DCIM) solution, allowing for the efficient management of IT assets, reducing risk and increasing efficiency. 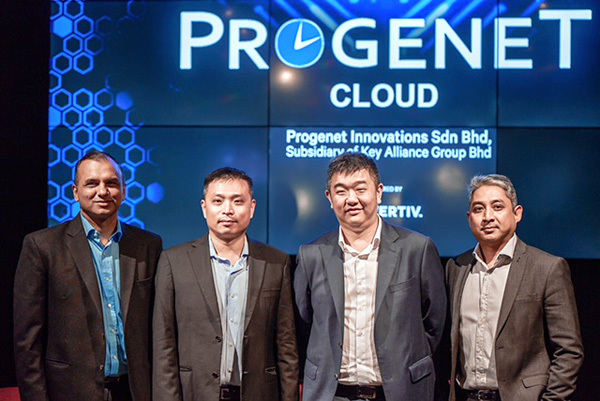 Progenet Innovations Sdn Bhd, the operator of KAG’s Data Center will be rolling out a series of cloud offerings that are specifically tailored towards Enterprise and Commercial business requirements. KAG and PGI will be the 1st end-to-end cloud provider in the country that owns the real estate, the data center and the cloud services. This in hand, enable us to provide a much more tailored approach for our cloud services, that are geared towards any Enterprise requirements. Aside from Vertiv, other KAG partners for the data centre are Kaspersky and Bitglass.